Chirk is nearly always Chris Standidge’s Triathlon season opener, and he was chasing his 5th win in a row and 6th win in 7 years. 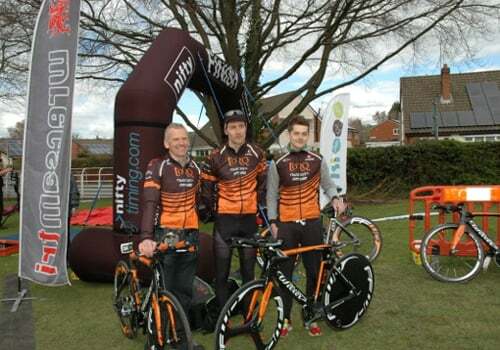 Chirk always attracts a good field and this year was no different, with TORQ team mate and overall British Olympic Distance Age Group Champion, Alex Lawton, also in contention. Chris and Alex usually race in different Age Groups so seldom go head to head, but the Chirk Tri was based on swim times, not Age Group. A strong swim and bike gave Chris a good lead of over a minute, but the run is where Alex excels, so Chris would be hunted down. At the half way point on the run there is a turnaround and Chris could see Alex was closing the gap. Struggling up the climb, Chris looked back to see Alex had almost caught up. One final effort on the downhill finish gave Chris the win by just 4 seconds! Chris thoroughly enjoyed reigniting the (friendly) rivalry! Alex Lawton also found it was great to resurrect an old rivalry with team mate Chris. Their last couple of races had seen them finishing very close, separated by only 6 and 3 seconds, and Chirk was no exception. Alex chased Chris from the start and was eating up the ground in the latter stages of the run, coming in very close to win Silver, but gives all credit to Chris for digging deep at the end, and holding on for the win to continue his great winning streak. Pleased with this race, Alex is feeling really excited and motivated for the upcoming Triathlons over the next couple of months. 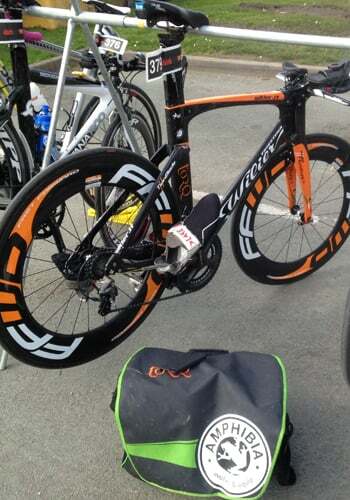 TORQ Fuelled Beth Hughes took the Gold Medal in the Female category at the Chirk Triathlon with an overall lead of 5 seconds in a hard fought race. This was Dave Mawhinney’s first race of the season and it felt good to be pinning a number on again. In a testing race, Dave put in a great performance to finish with a Bronze Medal in his Age Group, a mere 1 second behind Silver, despite training for longer distance races. It is now a case of preparing for the National Middle Distance Championships at the Grafman in May, then on to Ironman Austria in June.